Bill and Vicki let me know, this morning, that you are struggling for your life today, and that the prognosis is not good. I wish I could be there with you, to hold you and sing to you, but I know that you are surrounded by so much love and caring. Since I’m a thousand miles away, I wanted to set down a few thoughts about our long friendship, and what you have meant to me and so many others. We’ve been friends for so long that I honestly can’t remember when we first met—sometime back in the late ‘70s or early ‘80s. Maybe it was David Kubrin who introduced us—it was somebody who knew we were both interested in the intersection of the spiritual and the political. Maybe it was around one of those Take Back the Night marches back in the ‘70s? Whatever, we became aquaintances, then friends. I admired your willingness to stand up for things of the spirit even in the face of hard-core, cynical politicos. And I admired your book of meditations, Working Inside Out, which brought political awareness to the world of meditation and the spirit. Over all these years, I’ve seen you hold firm and consistent on your devotion to social justice. That’s always been the focus of your work and your life. You’ve embodied in your life the values you believe in. It hasn’t made you rich, or a famous superstar, but you have influenced thousands of people along the way. You’ve made the world a better place than it would have been without you. You’ve made sacrifices in order to put your best life energies behind what is truly sacred to you—and in so doing, you have made your life a sacred journey. You are a woman of integrity, and you taught me once a powerful lesson about holding boundaries. When we were organizing the WomanEarth Institute, back in the late eighties or early nineties, and we had a commitment to parity between women of color and white women, there was that meeting in San Francisco when a few of the women of color didn’t show up, for various reasons. You and Shay said simply and graciously, “Hey, we’ll bow out.” I would have waffled—and maybe now I wouldn’t make that same commitment in quite that same way—but you and Shay were clear—we had made an agreement, and we should keep it. Thank you for the gift of that clarity and integrity. We’ve had many moments together that I cherish—hanging out in your kitchen in Seattle, having intense talks. Walking into the convergence center for the WTO protests, looking at a sea of youthful dreadlocks and telling you, “Take me home! I need a cup of tea before I deal with this!” Marching with you on that day of action, you limping with a cane, with the flags flying and the puppets raised high. Holding the line all day in that peaceful spot by the union truck and then venturing around the corner to find smashed windows and fires in the trash cans, tear gas casualties weeping on the sidewalks and battle in the air. Going to the grocery store in the middle of the night to replenish our supply of vinegar—no, Japanese rice vinegar or balsamic on your bandanna, not a good protection against teargas. Worse than the gas! In the last couple of years, I’ve been privileged to work with you and Bill on our Earth Activist Trainings. Especially over this last year, I’ve seen your immense courage as you faced this battle with cancer. Always, I’ve felt your deep desire to continue doing your work, giving what you give, offering what you have to offer. It speaks well of your life and your choices that, faced with the possibility of death, your greatest wish has been to continue doing what you were doing. I’m so glad we got a chance to work together at the US Social Forum. There I saw you lead workshops and meditations in a new way. I felt like you were more open, more vulnerable, more alive than I had ever seen before, as if the struggle for life had worn away some barrier between you and you were simply and intently present in life itself. I’m glad we had a little time just to hang out together this summer, to lounge on the couch and go see a movie and have fun. I wish now we’d had more of that. I know that you are surrounded today by love and care—that you’ve been held through this struggle in the arms of the caring community that you have built. That love is the measure of your life, and of who you are. May it carry you on to the next adventure, whatever it may be. Lay down your treasures, too. Is all you take with you. On the island of the west. Grow together on the tree. 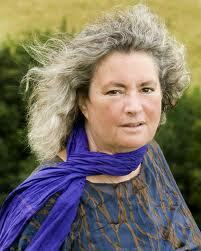 3 Responses to "a letter to Margo ~ from Starhawk"
Relentless warrior for peace. Unstopable. Unflapable. Unusual. Wonderful. Margo was a force – a creative whirlwind of energy & creativity. We will miss her – but not forget because in the thousand emergent possibilities we encounter and create with people – Margo is there in the ether – stirring and adding a little magic dust as she always did and continues to do. What a legacy Margo leaves for coming generations! It is a privilege to have known her during our sojourn on this earth. Today, in Berkeley, Ca, I was at a meeting. Being guest to this seminar, there was a guest speaker who has worked very closely with Starhawk. She mentioned several other people’s work and I, listening to her, mistook her to say Margo’s name. She is the one, today, February 16, 2011, to learn of Margo’s passing. Remembering when I called from the airport en route to Alaska and Margo you told me of just finding out you had cancer. Bill was not home—and today, I was directed to this site. Deeply sad and so sorry. My heart to you, Bill at this time in your life. I am remembering when you and Margo were making your commitment ceremony and the bond you both have….I wonder if you will find this, Bill for its as much to you and your strong heart and tender grief that I reach out and remember nice conversations with Margo; however brief.